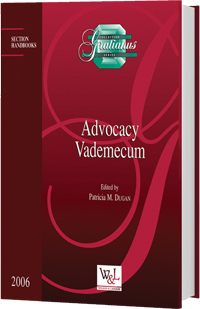 The papers collected in this Advocacy Vademecum have one aim: to help other advocates looking for the defense of rights in the canonical process, including those in the priesthood, victims of clerical abuse, and those serving the Church. "The contributors for this publication are some of the most generous professionals I have encountered in twenty-five years of practicing civil and canon law. Every one asked, contributed without thought of personal benefit. This book could never have been completed without their unselfish generosity of their limitless talents and wisdom. I am honored by their presence in this book."